St Teresa (Teresa de Cepeda y Ahumada) was born in Avila, Spain on 28th March 1515. Her parents were both pious Catholics and in some ways inspired their daughter to take up a life of prayer. As a young child, Teresa showed signs of a deeply religious nature; she would often retreat into silence for prayer and would enjoy giving alms to the poor. She was very close to her mother, who provided a warm counterbalance to the strictness of her father. However, in her teens, Teresa’s mother passed away, leaving the young Teresa distraught at the void she felt. The young St Teresa tells of her despair and how she turned instinctively to the Virgin Mary for comfort. 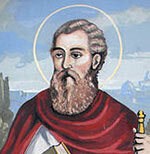 During her later teen years Avila lost some of her early piety and religious zeal. She recounted how she became interested in worldly matters and enjoyed the company of a wide circle of friends. She had a natural charm and found it easy to make friends. In return, she enjoyed the compliments and friendships of others. However, she was not at peace, considering herself to be a miserable sinner; later she would look back in guilt at her early life. However this sense of being a “miserable sinner” was probably the result of a harsh self-judgement, encouraged by her father’s exacting religious standards. At the age of 16, her father decided to send Teresa to a convent school to be educated. 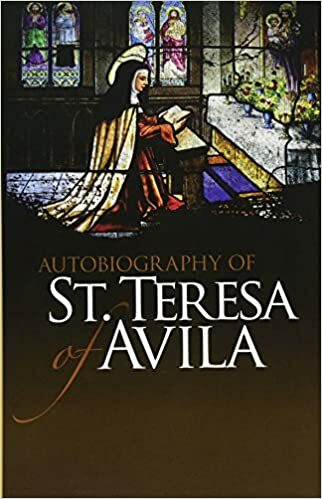 This reignited in Teresa an interest in following a spiritual life and after some deliberation resolved to become a nun of the Carmelite Order. At the time the convent rules were not very strict; it was probably more relaxed than living with her father. The convent accepted many people into the order, often for financial reasons. The convent became overcrowded, and people were often judged not by spiritual intensity but on material possessions. In this climate, Teresa struggled to find time for quiet reflection, although she did start teaching people on the virtues of mental prayer. When she was a little better, she resumed her prayers with renewed vigour. However, after telling others of her visions and spiritual experiences, she was dissuaded from pursuing them. Certain clergy felt they were delusions of the devil. As a result, for many years Teresa lost the confidence to practise her prayers, and her spiritual life was almost put on hold. However, when Teresa was 41, she met a priest who convinced her to go back to her prayers and implore God to come back. Initially, she had some difficulty sitting through prayers. She wryly remarked the end of the hour’s prayer couldn’t come soon enough. However, in the course of time, she became absorbed in deep contemplation in which she felt an ever-growing sense of oneness with God. At times she felt overwhelmed with divine love. The experiences were so transforming, she at times felt the illumining grace of God would wash her soul away. She was so filled with divine contemplation it is said at times her body would spontaneously levitate. Teresa, however, was not keen on these public displays of ‘miracles’. When she felt it happening she would ask other nuns to sit on her to prevent her floating away. Teresa was not a just a quiet, placid saint. She had an endearing, natural quality; her life energy attracted and inspired many who were close. They admired her for both her outer charm and inner serenity. But at the same time, her religious ecstasies also caused jealousy and suspicion. Unfortunately, she was born into the period of the Spanish Inquisition, during this time any deviation from the orthodox religious experience came under strict observation and scrutiny. On one occasion Teresa complained to God about her mistreatment from so many different people. God replied to her saying “That is how I always treat my friends.” With good humour, St Teresa replied, “That must be why You have so few friends!” St Teresa struggled because there were few who could understand or appreciate her inner ecstasies. However, on the one hand, she felt these experiences to be more real than ordinary events. 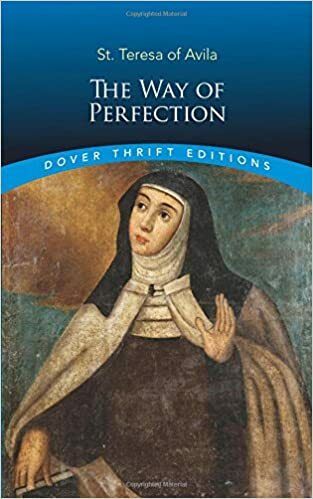 In 1566 she wrote Camino de Perfeccion (Way of Perfection), to tell the nuns how to reach their goal. In 1580 she wrote what is considered her greatest work: the Castillo Interior/ Las Moradas (Interior Castle/ The Mansions). 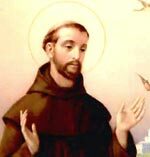 This involved describing the various stages of spiritual evolution leading to full prayer; she wrote Las Fundaciones (Foundations) from 1573 to 1582, so they would remember the early history of their order.